You will look over the ingredient list and accept the challenge, pulling the goods, completely unfazed, from the closet and pantry. Flour, eggs, sugar, butter, chocolate and vanilla. Nothing out of the ordinary, and certainly nothing frightful. After separating the yolks from the whites, you will drive to the store with the intent of purchasing a replacement battery for your scale. You will return without incident, battery in hand, and begin portioning the remaining ingredients into bowls. Mis en place completed, the project will begin. Your younger brother will wander soundlessly into the kitchen, studying the Kitchen-Aid with a sudden sense of wonder. Wide-eyed, he will ask to help, gingerly grasping the handle of a nearby rubber spatula. Under your careful instruction, he will add the ribboned yolks to the whipped whites, and he will be happy. You will be happy. You will share a moment. You will quickly realize that you have misplaced your second six inch pan, and you will feel a slight pain in your soul as your brother totters off with a friend. As you begin dividing the batter evenly amongst six bowls, you will also begin mentally preparing yourself for the great amount of dish washing ahead of you. The pile of dishes in the sink will begin to grow, but so too will the pile of baked cakes cooling on the rack before you. You will be optimistic and have no idea of the troubles before you. You will note that the authentic Ruszwurm recipe contains no instructions for the caramel coating on the cake, but you, still stupidly unfazed, will find them on the internet. The pan will be filled, and the burner turned on. But suddenly, a small child will run into the kitchen with a bleeding lip. He will be crying. He will be upset. You will console him. You will blot his lips. You will provide him with ice in a wash cloth. You will watch him scamper into the living room and you will pray that he doesn’t get blood on the white couch. You will return to the stove and be pleased to discover that the caramel has not burned. However, as you cross the kitchen to wash your hands, you will sense the distinctive smell of burning sugar wafting from the pan on the range. You will curse, and you will start again. And you will fail again. On the third try, the caramel will be perfect, but, you will become incredibly frustrated as you attempt to pour the caramel over the sliced cake. You will see that it doesn’t work as it should. You will suffice by dipping the slices in the caramel. You will burn your fingers in the process. You will become more frustrated. Preparation of the frosting will begin, but you will notice immediately that something is wrong. 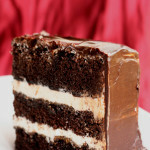 There could be no possible way that only 5 grams of chocolate and 20 grams of butter are present in the frosting. After considering another recipe, making adjustments and whipping the butter with the chocolate, you will see that the chocolate was not melted completely. Brown flecks will dot the creamed mixture. You will advance to angry. The thought of whisking eggs over a double boiler will do nothing to soothe you, and will only enrage you further as you stand at the stove, 45 minutes later, checking your watch and spewing profanity. Eventually, you will assure yourself, the mixture will reach the necessary temperature. Your arms will begin to fall off, but only just after the eggs achieve the appropriate temp. You will deposit them into your stand mixer and let it take over while you stick your arms back to your shoulders and fume. But things will just get worse; after adding the butter, you will see that the frosting is soupy. You will do some research and see that this is (more or less) normal, and you will become furious. Slopping the frosting onto the layers, cats will pointlessly circle you and a dog will attempt to hide from your older brother by sitting between your feet. The layers will slide, you will swear, and the animals will remain. After frosting the cake, you will step back and watch the frosting sag down, down, down the sides. You will quickly arrange the caramel-topped slices over the top of the cake, and you will briefly contemplate throwing the entire thing into the trash as you hurriedly make your way to the fridge. Only then will you realize that you were forgetting a decimal point in your conversions and that the original recipe was, in fact, correct. However, the adjustments you made will, strangely enough, have been for the correct amounts and will still have failed to fix anything. Exhausted and upset, you will fall into your bed. You will deal with this in the morning. Everything will be better then. Or so you will think. At precisely 6 AM, your brother will call your cell phone, awakening you from your slumber. You will shed your blankets and unlock the door to let him in, then fail to fall back asleep. Small children will begin to roam the house moments later for they too will have been awakened by your brother’s return. You will curse your life, and you will tend to the cake. Thankfully, your brother will have deposited a tin of chocolate sprinkles on the counter. He is much kinder to you now than he used to be, and he will have brought them home for you at your request. However, as you attempt to press them into the sides of your refrigerated cake, they will do nothing but crack the frosting and sadden you. In a streak of brilliance, you will grab the blow dryer and attempt to melt the outer layer of the cake, but you will succeed only in melting the interior and further drying the exterior. The sprinkles will fall to the floor as you try hopelessly to apply them anyway, and you will add sweeping to your growing mental “to do” list which already includes the likes of washing dishes, cleaning counters, and pulling out your hair. As you eye the trash can once more, your mom will enter the kitchen and try to set you up with a friend of hers. You will be flattered, but dumbfounded. You will have cake on the brain. You will be furious with said cake. It will not be the time for boys. You will then consider that you are, in fact, insane. You will build a bridge. 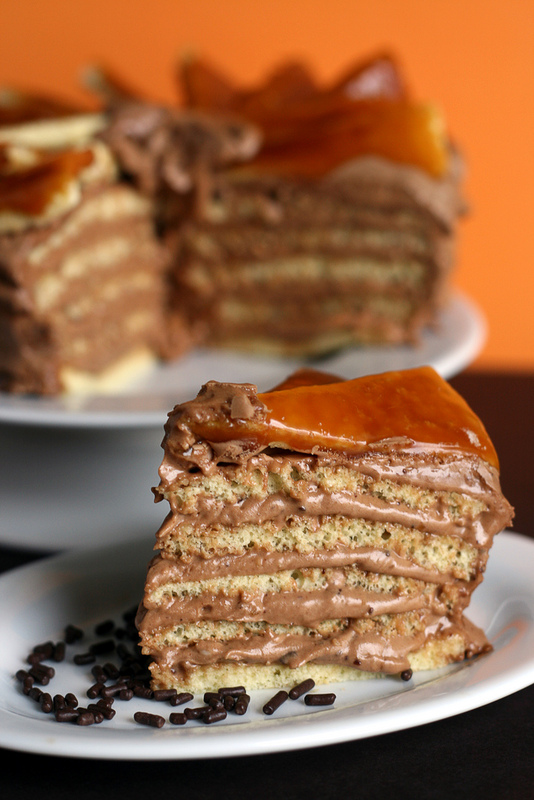 You will slice the Dobos Torte and you will vow to never, ever, do this to yourself again. In all seriousness, this cake is ok. It’s not great, it’s not awful, it’s ok. I think I must have messed it up because this is, supposedly, the Dobos Torte recipe, and it’s honestly the worst (and least attractive) cake I have ever made. But I’m not mad. It was a challenge. The failure is funny. I enjoyed it. Honestly, I’ll probably try it again in the future just to see if I can actually get it right. Anyway, the recipe I am going to provide is the one I used (I halved it though), but I would suggest this one because it’s the one Marija of Palachinka recommends and that girl knows her stuff! Preheat the oven to 350F. Oil and line as many 9 inch pans as you have. Or, as I have recently discovered, you can line a baking sheet with a piece of parchment paper that you have traced 9″ circles onto. Simply spread the prepared batter onto the rounds if preferred! Beat the yolks with 1/4 c (40 g) of sugar to the ribbon stage and set aside. Whip the whites with the remaining sugar to soft peaks, then add the ribboned yolks a little at a time. Beat until fully incorporated, then fold in the flour. Divide batter into six portions, pour into prepared pans then bake each for approximately seven minutes, until the top is no longer sticky and springs back when touched. Cool each briefly in the pan, invert onto a rack, and cover so they won’t dry out. Set aside one layer on a sheet of wax paper. Whip the butter and chocolate. Set aside. Combine the whole eggs, sugar, vanilla pudding mix, and vanilla sugar (do not add vanilla extract at this point, if using), in a double boiler and place over heat. Continuously whisk until the mixture reaches 175F. 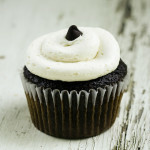 Pour into the bowl of a stand mixer and whip 10 minutes on high speed, then add the whipped chocolate butter. Caramelize the sugar over medium-high heat, keeping a close eye on the pan. When it starts browning remove from heat, stir in butter, and lemon juice. Mix well, and return to heat, whisking until thoroughly combined. Pour over the reserved cake layer, let cool briefly, then slice the cake into 16 equal wedges. Spread a thin layer of cream filling over a round of sponge, then top with a second layer. Continue building the cake in this fashion, then frost the top and sides. Pipe 16 equally spaced piles of cream around the perimeter of the cake, and arrange the caramel-covered slices over them. Pipe a dollop of cream in the middle. Apply chocolate sprinkles to the outside, if desired. I was unhappy with the dobos torte I made a few months back, and got an &quot;authentic&quot; recipe from my Hungarian co-worker. I should check to see how it compares. It still looks better than anything I could do. Ahhhh the Dobos Torte. It&#39;s a lot of work! I saved some time on mine by baking the cake layers spread out on large baking sheets, then tracing out rounds with a plate. I made smaller tortes and found it more manageable. Check here: http://www.bitemekitchen.com/2009/08/dobos-torte-daring-bakers.html Even my Hungarian boss liked it, and he doesn&#39;t like ANYTHING! I have yet to try such a complicated cake. what a horror story especially all those dishes! yikes. Your photo of the cake looks yummy. I hope you got a chance to enjoy it. I think it looks pretty awesome…almost looks like it should be from Alice &amp; Wonderland, all teetery-tottery. I&#39;d eat it in a heartbeat!<br /><br />It&#39;s the worst thing ever when your making a cake and slowly realizing it&#39;s not going to be as good as what you originally anticipated. I hate that feeling. I think yours has an appealing &quot;rustic&quot; look. I&#39;ve made one of these before, Martha Stewart&#39;s recipe. Totally, totally, totally not worth all the work. But kudos to you on getting it done! I&#39;ll bet it tasted wonderful. It looks good to me! Thanks for the blog post. I&#39;m glad to have discovered your blog. 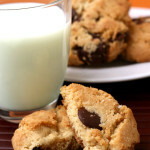 I really enjoy your writing and wish you success in your three ventures of baking, writing, and photography. I think the world would very much enjoy reading a book of your adventures in baking. I know I would! Lovely layers, very delightful and divine! You are tooooo funny. I think it looks yummy. Great photo btw! Dobos torte is somehow a lot of work. I have not perfect any of my cooking for that. And so I stopped! You brave one! Despite of your attempts in making this torte, the photos says they are very very good! Keep it up. hey nothing worth it is ever easy! kudos for all the effort! I feel your pain!!! There have been more times than I can count that I have found myself sitting in my kitchen staring hopelessly at piles of fondant, icing sugar, parchment paper and dirty pans with a failed cake sitting in front of me (today being one of them). Way to push on and I love your blog! So glad I found it; I can&#39;t wait to try some of the recipes. my dad made dobos torta, we are hungarian and it&#39;s a cake we all loved. he made it look effortless, lucky i watched him make it time and time again when i was a kid. i channel him when i make it and remember everything he said. it&#39;s a difficult cake but for me worth the effort. Sweet memories 🙂 I love stuff like that!